All Tabu Members Bringing a Date Male for a VISIT MUST Notify Us by Email NO Later then 7 PM the day the intend to bring them for a Visit. "Date Member Visits" are for current members ONLY. You may not bring a "Date Single Male" on your first visit to Tabu. 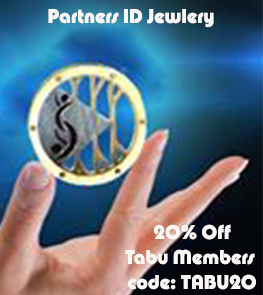 The purpose of a "Date Single Male" is for either Single Female Members or Couple Members to bring a Single Male to visit Tabu that they are not going to sponsor for a FULL Tabu Membership. Single females bringing a "Date Male" for a visit will together pay $10 OVER the Couples rate at the door to attend. A Couple bringing a "Date Male" will pay their normal Couple rate and the "Date Male" will pay $10 OVER The Single Male Door rate for the night. Single FEMALES joining you MUST get a membership and attend as a Single Female. "DateMales". They will be required to join as FULL members of Tabu. This email needs to come from your email on file at the club. You will get a confirmation email once your records have been fully verified. You MAY NOT sponsor a single male at the door.